Three men will no longer have to answer to a charge of stealing $320,000 worth of items from Kendra’s Aluminum, but instead, a reduced sum of $85,722.23. 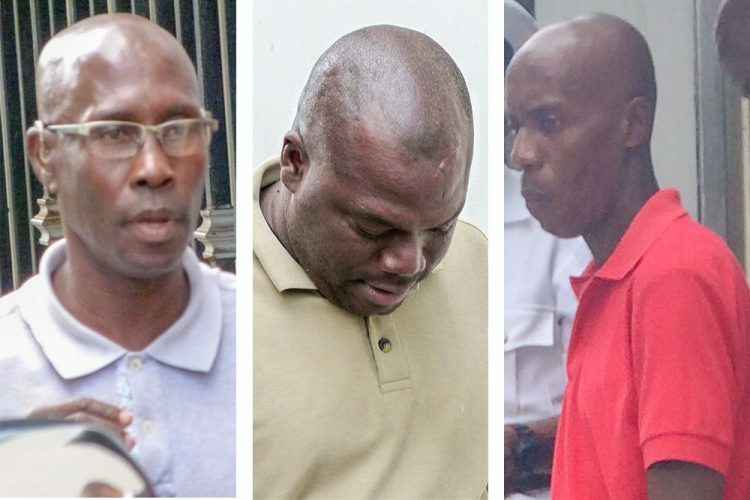 It was supposed to be the final adjournment for the case of Philbert Regis, Conroy Trimmingham and Devon Jack, last week at the Serious Offences Court. This meant that the preliminary inquiry looking into the charge of theft of over $320,000 items from Kendra’s Aluminium was to start, or the matter may have been thrown out. Their lawyer Grant Connell was not present when his clients were first called, as he had indicated he would be elsewhere until a certain time. Prosecutor Renwick Cato was standing in for Senior Prosecutor Adolphus Delplesche who usually conducts matters at the Serious Offences Court, and who had control over this matter in particular. Cato indicated that the prosecution would be amending the quantum alleged to have been stolen, and therefore they would change the matter from an indictable one to a summary. Further he asked that because of the nature of the exhibits, windows and doors made of glass, that they were contemplating viewing them at the police station instead of at the court. In light of these developments, Cato asked for an adjournment. When Connell arrived, after brief discussion, the amended charge was put to the three, who were not able to plea to it before, but were required to at that point, because of its summary nature. The trio pleaded not guilty to, between the January 1, 2014, and March 26, 2018, at Campden Park, stealing aluminium windows and doors and parts valued $85,722.23 the property of Kendra Aluminium products. Connell said that he was ready to proceed with the trial right away, to which Chief Magistrate Rechanne Browne-Matthias responded, “You have disclosure?”. He reiterated that he wanted to proceed on that day. The magistrate asked if any of the witnesses were present. The prosecutor said he was not in a position to proceed on that day, that he was informed the day before that he had to come to the Serious Offences Court the next day. He said while a defendant can be coming to court all the time, that the complainant also suffers. He continued that the difficulty comes with getting the case files from the police station to the office of the Director of Public Prosecution (DPP), and that it is only when the file is perused that they realize changes have to be made because of the circumstances. Connell then said that he would retract these arguments because they (the DPP’s office) sent Cato. “The senior prosecutor is not here… the DPP, why do they send Cato? Come down and take the blows. They need more testosterone in the DPP’s office. That’s the problem up there,” he commented. The chief magistrate ordered disclosure within 48 hours and set the trial for April 4.